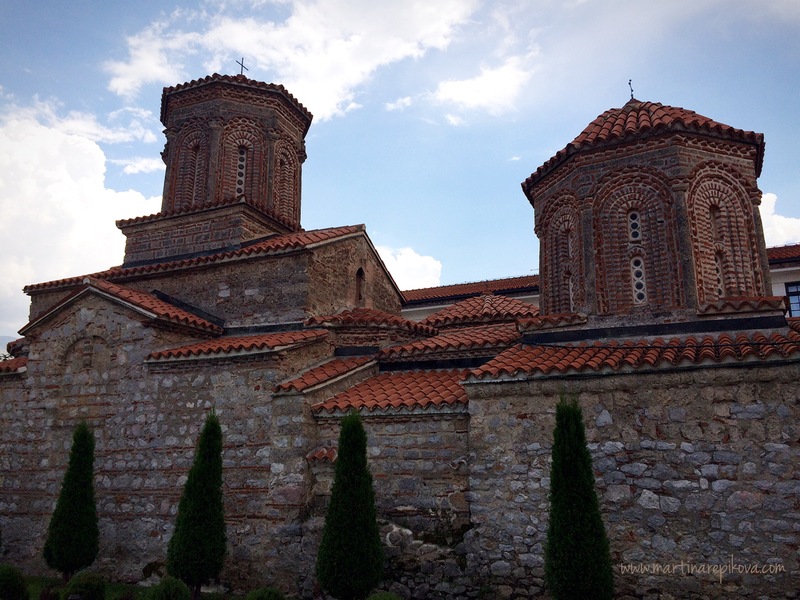 This ancient orthodox monastery of st. Naum or Sveti Naum lies on the shore of lake Ohrid in Macedonia. The place offer a bit of a history, beautiful views of lake Ohrid from the monastery’s fortification walls and I would recommend also to make a boat trip to the springs to enjoy the crystal clear waters of the lake and the green scenery around. According to the historical sources, st. Naum was born in the city of Ohrid, some 30km north from here. He studied with st. Kliment and built this monastery. He is also buried here. Inside the monastery, you can see iconostasis from 17th century and frescoes from the 19th century. From the fortification walls you can enjoy a beautiful view of lake Ohrid. After the visit to the monastery, I would recommend you to take a boat ride on the hidden part of the lake with incredibly clear blue-green waters and amazing green scenery to the springs of st. Naum. After the stop you can continue north to visit the city of Ohrid to further enjoy the views from the Samuel’s fortress (read more). Verdict: Worth a visit due to its historical monastery, beautiful views of the lake from the fortification walls and a boat trip to springs through the lakes crystal clear waters.